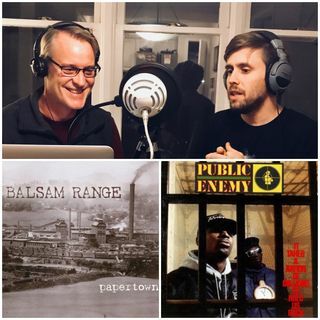 Episode 14 of features Bluegrass and Rap for a diverse mix. Balsam Range is a five-piece Bluegrass band from Canton, North Carolina and named the band from local Blue Ridge Mountains. Papertown tells the story of Canton as an old paper mill town. The album won several awards including top Bluegrass album for the year and features some great covers including Elmore James "One Way Out" make popular by the Allman Brothers. Public Enemy is from New York City and their 1988 sophomore ... See More effort, "It Takes a Nation of Millions to Hold Us Back" is considered one of the greatest rap albums of all times. Delivering s strong social message that still resonates today, the album is full of passion and honest emotions and some great beats.